"[A]n impressive story of wartime female solidarity." "The horror of the camp, with its medical experimentation on Polish women-called Rabbits-is ably captured. Yet, along with the misery, Wein also reveals the humanity that can surface, even in the worst of circumstances." 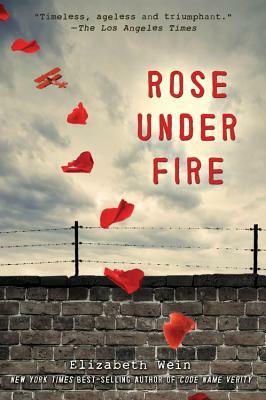 * "At once heartbreaking and hopeful, Rose Under Fire will stay with readers long after they have finished the last page." "[T]he author manages the neat trick of both conveying an enormous amount of historical information while also providing a nail-biting, edge-of-your-seat plot peopled with vivid, imperfect and believable characters."